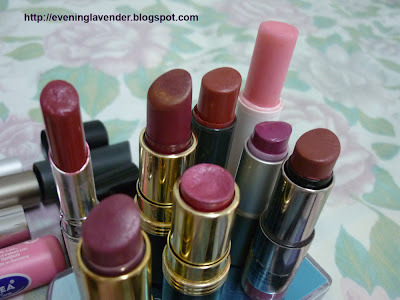 Evening Lavender: Cosmetics Spring Cleaning: Throwing Your Money Down the Drain? Cosmetics Spring Cleaning: Throwing Your Money Down the Drain? I am not trying to dampen your Christmas shopping. 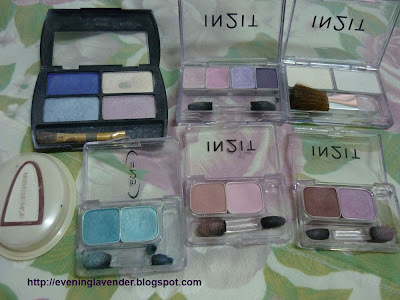 I thought it would be good to remind you to take a stock check of the cosmetics items that may be expired and still sitting in your pile of collections. These are the products that I need to throw away. Waste of money right? As you can see, some of the products have so much left. This is what I call throwing money down the drain. I have been wanting to write this post for quite some time. 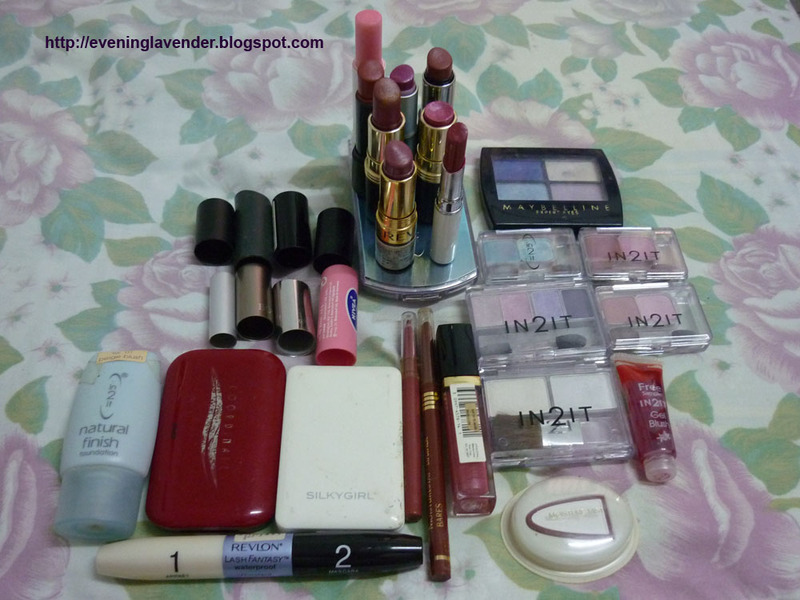 Today, I will share with you how I monitor my cosmetics items. Most cosmetics labelled their Manufacturing Date on the product packaging. So, what I'll do is to stick a transparent cellophane tape on top of the date. This is to prevent the label from fading. If the Manufacturing Date is printed on the outer plastic wrapper (i.e. when you open the plastic wrapper, you will also throw away the information). In this case, before throwing the wrapper I will write down the date on a small sticker and stick on the body of the product. I will also put a cellophane tape on top of the sticker to prevent it from fading. What about you, do you follow the general rule or have your own rule? Pls share for the benefit of others. Have a lovely week and thanks for sharing. this is a good reminder POST! i'm coming up with a swap list and post in MUA hopefully some new and unattended cosme will find a happy owners..
Aww I always feel so bad for trowing away makeup products, that's why I try not to use everything at once! Great idea about putting tape over the expiration date :) this has totally inspired me to start using my lipsticks more, I can't bare to throw any barely used makeup products away! Very good tips. I really should assess my stash. Sigh! Swapping is another good option. Thanks. Glad to know my post is useful. Yes, especially mascara with short life span. Yes, keeping the box is good too but I always throw them away. Yes, I think everyone should check our stash! love this entry. looks like it's time for me to do a clean up too.